Asha Bhosle is a Renowned Indian singer. She is best known as a Playback Singer in Hindi Cinema, apart from Hindi, she has sung in over 20 Indian and Foreign languages. Bhosle started singing in 1943 and she continues to sing after six decades. She has done playback singing for over a thousand Bollywood movies. In addition, she has recorded several private albums and participated in numerous solo concerts in India and abroad. Bhosle is the sister of famous playback singer Lata Mangeshkar.Renowned for her voice and often credited for her versatility, Bhosle's work includes film music, pop, ghazals, bhajans, traditional Indian classical music, folk songs, Qawwalis, and Rabindra Sangeets. In 2006 she had sung over 12,000 songs. In 2011, she was officially acknowledged by the 'Guinness Book of World Records' as the most recorded artist in music history. The Government of India honored her with the 'Dadasaheb Phalke Award' in 2000 and the 'Padma Vibhushan' in 2008. In 2013, she made her debut as an actress in the film Mai. Born in Sangli (Maharastra), Asha Bhosle father was an Actor and classical singer on Marathi Musical stage. Her Father Died. When she was nine years old. Later when her Family Moved to Mumbai Asha and her Elder sister Lata Mangeshkar Began Singing and Acting in films to support their family. She sang her First film song "Chala Chala Nav Bala" for the Marathi film "Majha Bal-1943". She made her Hindi film debut when she Sang the Song "Saawan Aaya" for the movie in 1948 "Chunariya". In 1949 Her first solo Hindi film song was for the movie "Raat Ki Raani". In 1956, O. P. Nayyar gave Her a break in "CID" . She first achieved success in B. R. Chopra's "Naya Daur" in 1957, composed by him. Asha Bhosle duets with Rafi like "Maang Ke Saath Tumhara" "Saathi Haath Badhana" and "Uden Jab Jab Zulfein Teri", Earned her Recognition. Chopra Approached her for "Gumrah in 1963", "Waqt-1965", "Hamraaz - 1965" , "1966-Aadmi Aur Insaan" and "Dhund" in 1973. For the movie "Teesri Manzil" Asha Bhosle performances in the duets from one of music director R.D. Burman's first soundtracks, In 1966. Won Popular Acclaim. "Aaja Aaja" along with such other songs as "O Haseena Zulfo wali" and "O Mere Sona Re", Became Successful. Some of Their Other Popular Numbers include "Piya Tu Ab To Aaja" and "Yeh Mera Dil" - Don. Asha Bhosle had been Stereotyped as a "cabaret singer" and a "pop crooner" in 1980. She Attempted singing ghazals for the Rekha-starrer 'Umrao Jaan', including "Dil Cheez Kya Hai", "In Aankhon Ki Masti Ke", "Yeh Kya Jagah Hai Doston" and "Justaju Jiski Thi". The film's music director Khayyam, had lowered her pitch by half a note. The ghazals Won her the First National Film Award of her career. A Few years later, In 1987 She Won Another National Award for the Song "Mera Kuchh Saamaan" from Ijaazat . 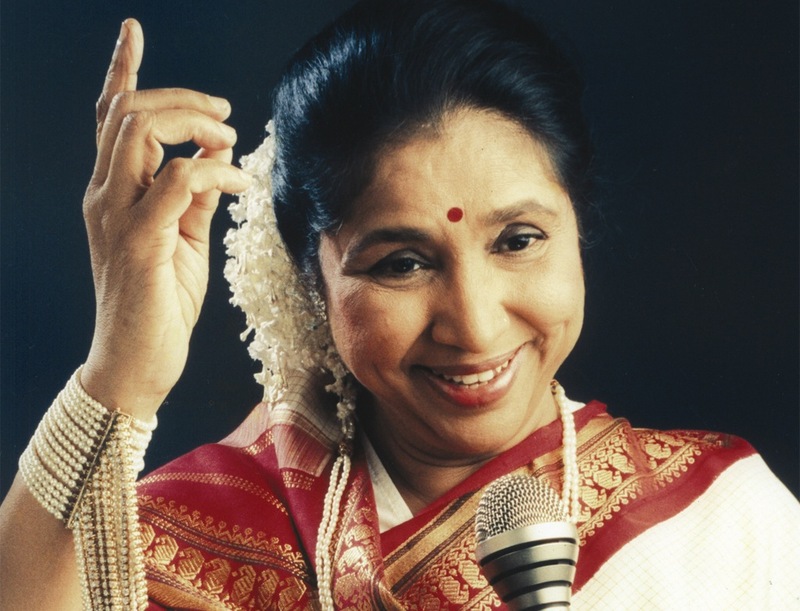 The Movie 'Rangeela Asha Bhosle Sang for the song "Tanha Tanha" and "Rangeela Re" in 1995, and Composed by Music Director A. R. Rahman, gained popularity. During the 2000, several of Bhosle's numbers became chartbusters, including from Lagaan in 2001, "Radha Kaise Na Jale",in 2001 "Kambakht Ishq" from Pyaar Tune Kya Kiya, and "Yeh Lamha" from Filhaal and In 2005 "Lucky Lips" from Lucky. At the age of 79. Asha Bhosle debuted in the film 'Mai' in the Title role In 2013, Bhosle played the role of a 65-year-old mother who suffers from Alzheimer's disease and is abandoned by her children. She received positive reviews for her acting as well from critics. During her decades old career she has worked with many renowned music directors such as O. P. Nayyar, Khayyam, Ravi, Sachin Dev Burman, Rahul Dev Burman, Ilaiyaraaja, A. R. Rahman, Shankar-Jaikishan and a score of other music composers. At the age of 16, Asha Bhosle married 31-year-old Ganpatrao Bhosle. in 1960, They separated. They have Three Children and Five Grand children. The Eldest of her Three Children, Hemant Bhosle, Worked as a Pilot and Quit to have a brief career as a music Director. Asha's youngest child, Anand Bhosle, has studied business and film direction. Her grandson, Chaitanya (Chintu) Bhosle is a member of India's first and only boy band, "A Band of Boys". Apart from Lata, her sister Usha Mangeshkar too is a playback singer. Her other sister Meena Mangeshkar and brother Hridaynath Mangeshkar are music directors. Asha's first marriage with Ganpatrao failed in 1960. Asha married Rahul Dev Burman in 1980. Asha is an excellent cook and cooking is her favorite hobby. She runs restaurants in Dubai and Kuwait called Asha's. Asha Bhosle will be on view at the Madame Tussauds gallery that opens in New Delhi soon. 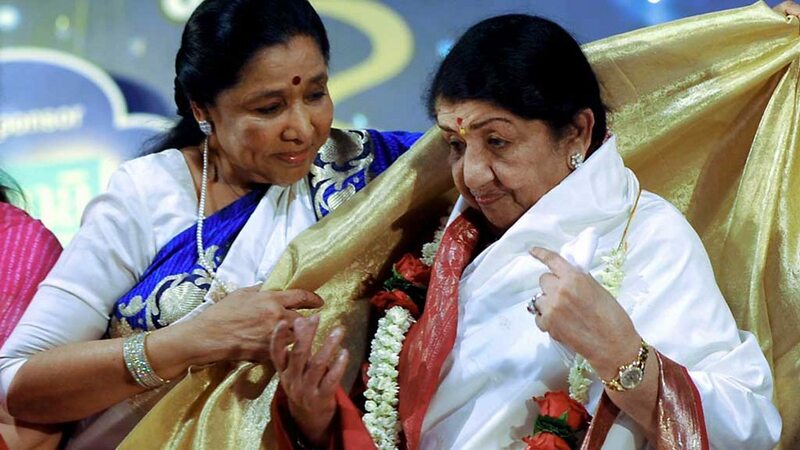 ➯ Asha Bhosle was honored with the 'Padma Vibhushan' by the Government of India in 2008. ➯ Shammi Kapoor, was once quoted as saying – "If I did not have Mohammad Rafi to sing for me, I would have got Asha Bhosle to do the job"
➯ About remix albums: "Our children nowadays listen to remixes and fusions. But they should be exposed to our own music in its original forms. They should listen to classical music as well. That way, they will develop good understanding of our roots in general and music in particular." ➯ About the Grammy nominations: "It is the dream of an artiste to get a Grammy Award I am having the pleasure of receiving the award merely by the nomination."